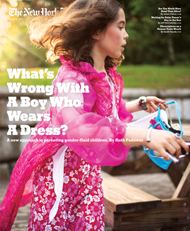 Last week, The New York Times Magazine ran a story called What’s So Bad About a Boy Who Wants to Wear a Dress? Very interesting stuff . 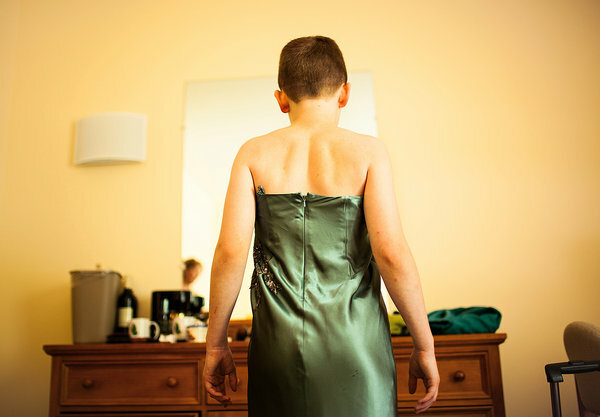 . . and no doubt challenging for any parents who have a son who likes to wear dresses. I know a young man in his 20s who is gender fluid - he wears make-up, fingernail polish, and feminine shirts, but usually pants or shorts. When he goes out, he'll wear a dress and a wig. I can't imagine him being any other way - this is who he is and he is comfortable with it. As the author of the article points out in an interview below, this is the first generation of boys who have been given ANY freedom to dress how they desire. And even though more parents are open to allowing their sons to express their gender fluidity, many, many more are not. Hopefully this will continue to change and there will be a day when we can all be free to express our gender however it feels comfortable to us, without fear or judgment. Here is the beginning of this very interesting article, followed by an interview with the author, and hen a Dads Unplugged podcast about the article. Read the whole article. So far, the article has generated 853 comments - and a follow-up interview with the author of the article. Here is a big chunk of that interview, which I think is helpful in understanding the article. Ruth Padawer, who teaches at the Columbia University Graduate School of Journalism, wrote this week’s cover article on boys who like to dress up as girls. Her last article for the magazine was on reducing a pregnancy with twins to a single fetus. What was your first impression when you went from reading about gender-variant kids in forums online and talking to their parents to meeting the kids themselves? I learned a lot from these kids. Their conviction — that it was fine to be a boy and do things typically restricted to girls — felt very deep-seated and compelling. It forced me to examine my initial disorientation at seeing a boy in a glittery “girly” outfit while insisting he felt like a boy. These pink boys offer us an opportunity to think about what gender is, what purpose it serves and why it’s been a central way of identifying someone. The children you quote in your article seemed to find their behavior totally natural, and it was the parents who had to adjust. But aren’t there kids who crumple under pressure from their parents to behave in a more “normal” way? 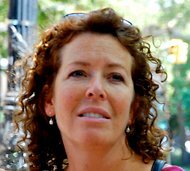 I didn’t talk to kids who yielded to their parents’ pressure to conform, though surely they’re out there; just look at Catherine Tuerk — whom I wrote about — whose son tried to fit the bill. The data suggests that whether or not their parents pressure them, most “pink boys” will become significantly more gender conforming by age 10. It’s hard to know whether that’s a natural development or if it’s because they’re yielding to social pressure. Researchers themselves are uncertain. Even the parents who consider themselves very liberal were still uncomfortable when their boys reached for dresses. Was there any factor that seemed to lead parents to accept and even encourage gender-variant behavior? I don’t think there was any one thing. For many, it was seeing how miserable their kids were when forced to conform — and seeing how peaceful their children were when allowed to be themselves. Of course, finding support from therapists and other parents helped a lot, not only with the big picture questions — do I suppress or support this? — but with smaller decisions too. Do I let my son wear a dress to Aunt Susie’s Thanksgiving dinner so he’ll be happy, or do I prohibit it so Grandpa will be happy? Whose needs should be given more importance? What compromises are possible? Have therapists who counsel parents on this become more accepting of gender-variant children because of changes in society, or was it some kind of theoretical shift in the field of psychology? Therapists live in the same world that parents do, and I suspect they’ve both been quite affected by the greater visibility and acceptance of gays and transgendered folks over the last few years. Also, as more clinicians published articles and essays questioning the industry’s status quo, more of their colleagues became aware of the debate in the field. Have gay rights advocates become actively involved in this issue? Gay rights groups have gotten increasingly involved in the fight to expand legal protections to other sexual or gender minorities. But the change on the ground level — the social acceptance part — seems somewhat more organic, as the culture has become increasingly aware of the diversity in our society. Finally, the Dads Unplugged podcast also decided to discuss this article - and here is that post. What If Your Boy Likes To Wear A Dress? The first time you laid eyes on your son, what went through your mind? Have you imagined playing together? Have you imagined playing with dolls, dressing up and having tea parties? No Dad imagines that but many find that is what happens when their boys grow up wanting to be like a girls. In a recent NY Times article, this issue was discussed at length. Todd and Kent had their own chat about what to Di when your son wants to be like a girl. Do you force your child to be something they’re not? Do you let them go to school in dresses and wear wigs? Much of this episode focuses on this, while there is also a larger discussion about how we as Dads can be even better.